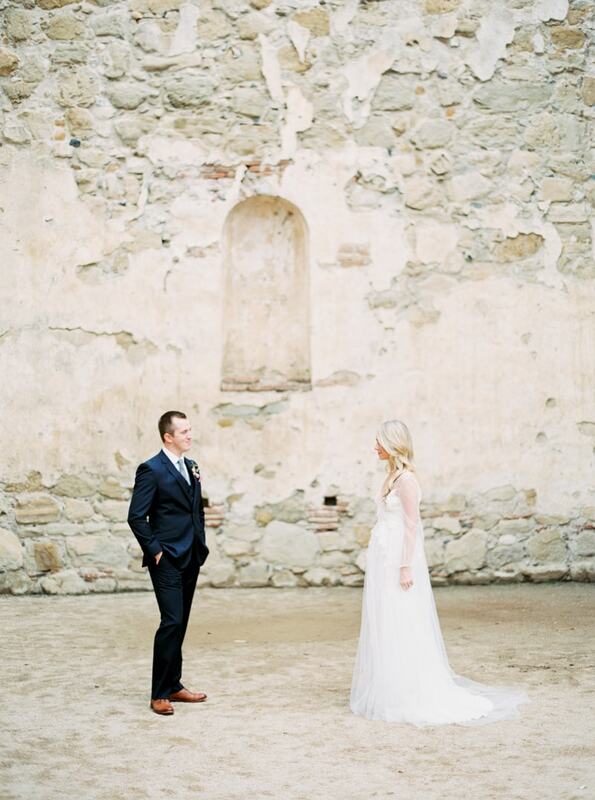 Mission San Juan Capistrano Wedding Shoot. 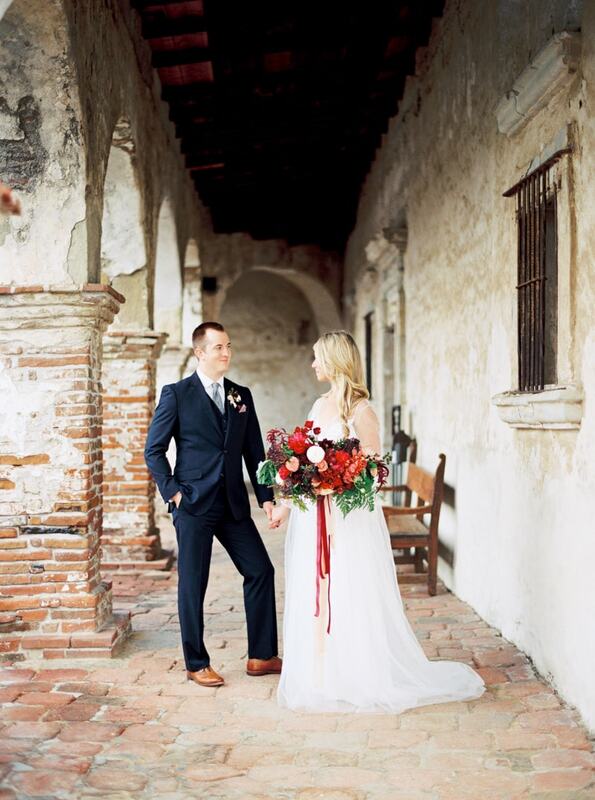 From inside the ruins of the historic Mission San Juan Capistrano stands a bride and groom, radiant in the California sunshine. What was once a towering structure, sturdy and strong, is now a timeworn monument of the day an earthquake shook the city, tumbling the Mission's walls to the ground. 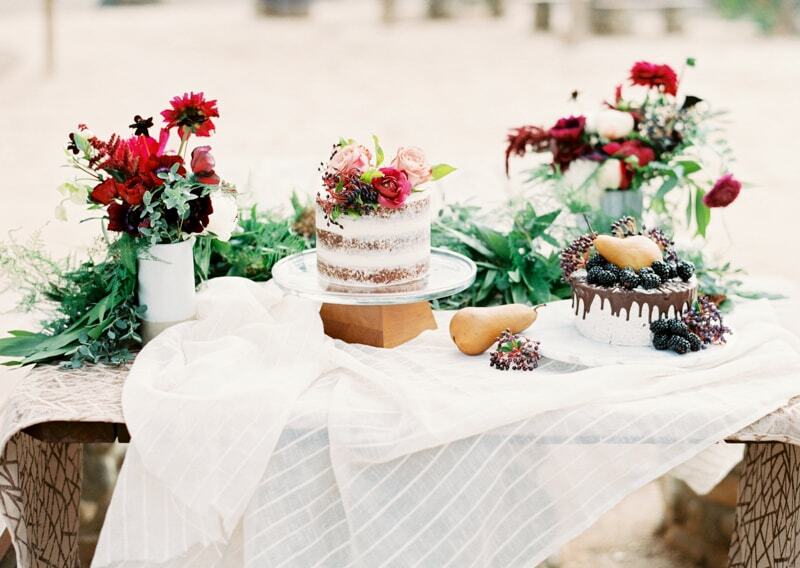 This styled shoot embraces the ‘jewel’ that is the Mission and brings it life once more. All around are visual reminders of the Spanish culture from which the Mission started: the tiles, inscriptions, and architecture. These characteristics are the source of inspiration for this shoot. Her bouquet bursts with color and texture and is a standout accessory within the walls of the Mission. 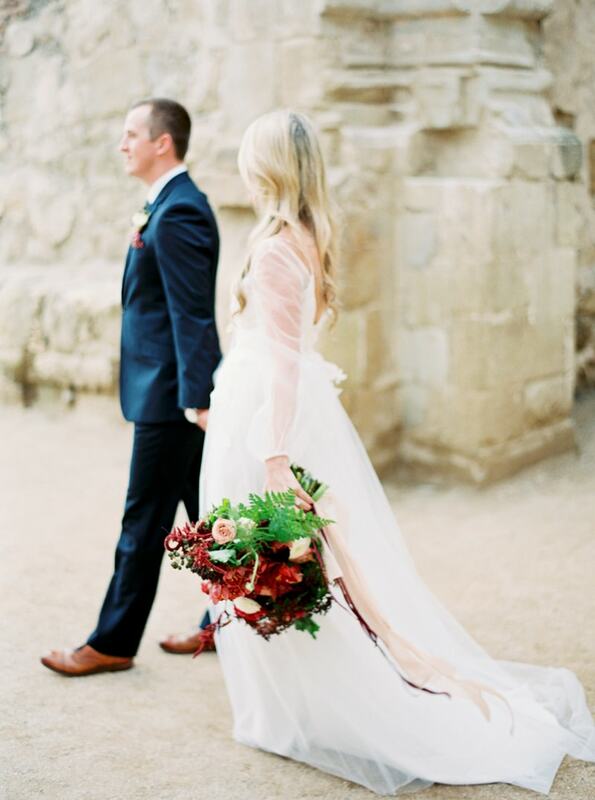 The collection of blooms brings out the color of the groom’s red polka-dot boutonniere. 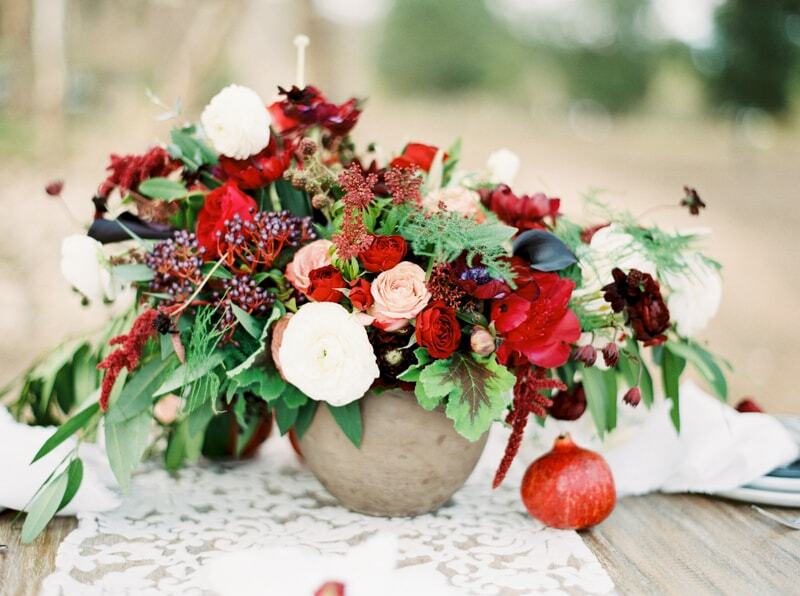 A reception tablescape incorporates confident touches of red in various ways. A striking centerpiece features red roses, ranunculus, and amaranth, along with the same David Viburnum from the cake toppers. Nearby pomegranates add a natural and sweet element to the presentation. The table itself features an eclectic design with a natural wooden table and four vintage-inspired metal chairs. 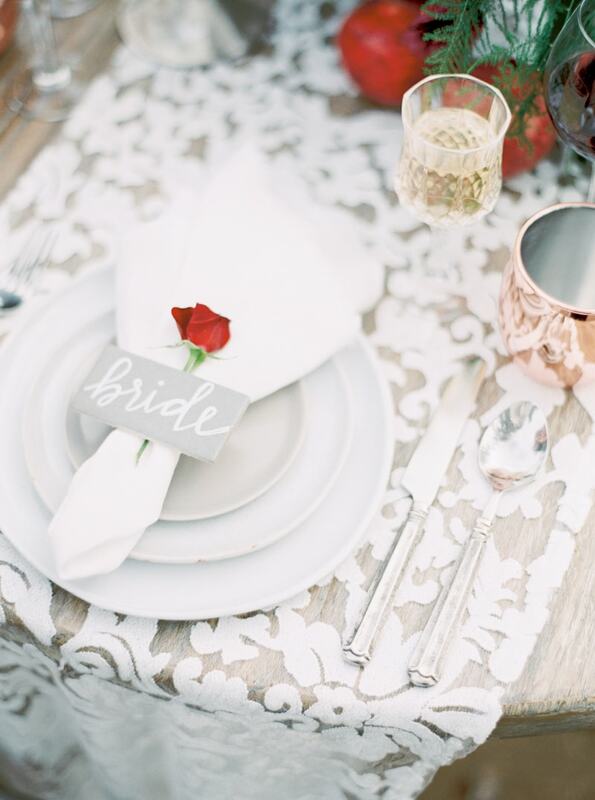 Décor includes a floral table runner, white china, copper mugs, crystal, and a darling red rose underneath each place card. Infusing greenery into the scene adds a bright, refreshing presentation to the Mission. Above the dessert table hangs the event’s menu, written with green script and adorned with a lush topper. A dessert table is covered with unique fabrics that add dimension, while the desserts and flowers add texture. 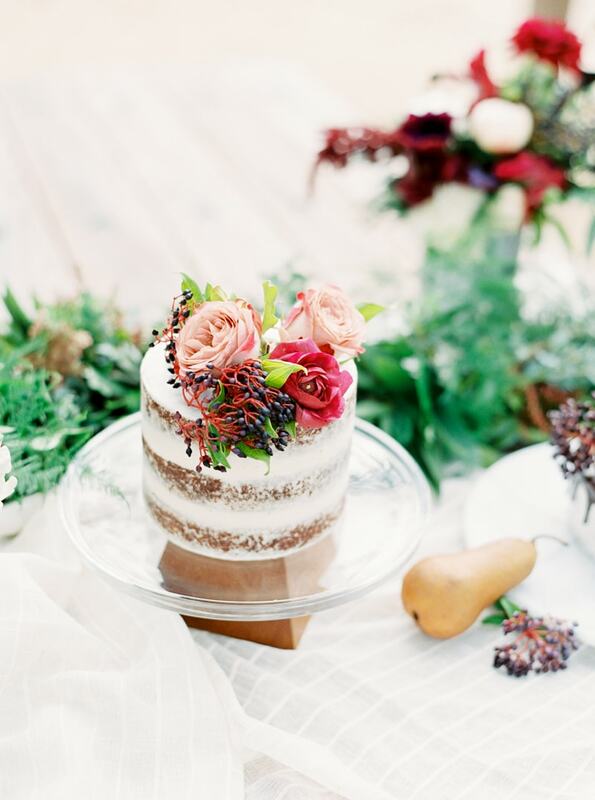 A naked cake is beautified with assorted pink roses and sprigs of David Viburnum for a pop of unique color, while another cake drips with chocolate ganache and boldly displays blackberries and a pear. As they stand in front of the Mission’s famous bells, the bride and groom are flawless. The groom dons a navy blue suit with a light blue patterned tie. The bride wears a unique design that features a wide neck, billowy sleeves, and a delicate skirt. 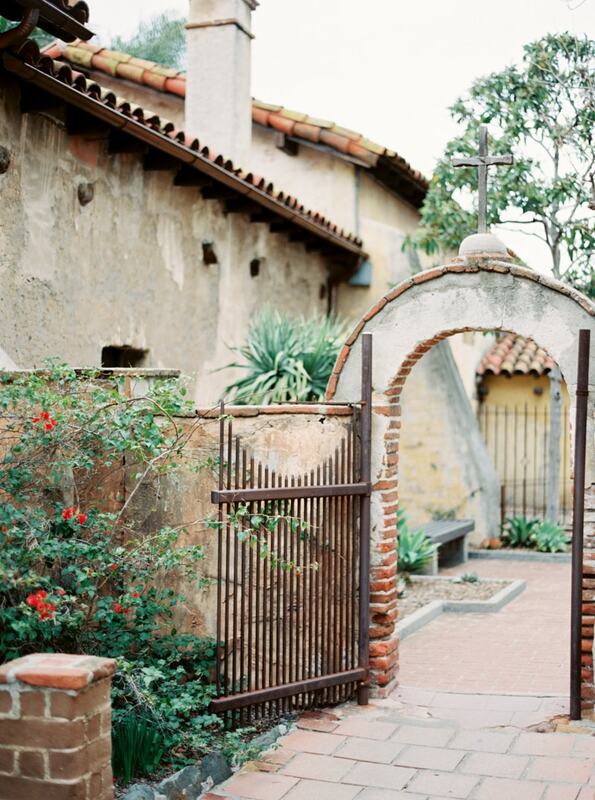 The sacred Mission San Juan Capistrano evokes a magnetic charm. This styled shoot is the perfect catalyst for rewriting your own history books in a most historic California location. Featured in our Winter/Spring 2017 issue.